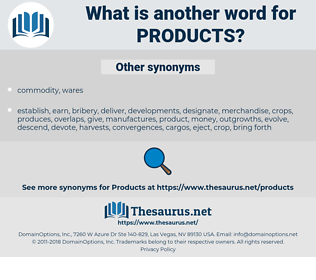 What is another word for products? by-product, by-products, METALS, production, productions, productos. byproducts, bioproducts, crops, cosmetics, Fruits, Fertilizers, by-products, textiles, books, deliverables, METALS, productions, outputs, productos. billion, million, 1998, 2006, 2004, 12.
producers, exports, consommateurs, enterprise, processes, enterprises, foodstuffs, commodites, feedingstuffs, solutions, reports, Companies, Beverages, services, Consultations, Undertakings, Countries, appliances, caries, Guidelines, wastes, feeds, search, NHPS, sections, Firms, trials, Tests, rules, units, woods, funds, -rrb-, books, drinks, aliments, needs, ages, deliverables, Properties, objects, Publications, requirements, instruments, Regulations, tools, assets, Activities, wares, Les, proceeds. deliverables, protection, property, Properties, objects, derived, device, agreement, publication, Publications, Resources, cargo, organization, medicinal, Achievements, no., instruments, erzeugnisse, regulation, Regulations, ordnance, patterns, tool, tools, assets, performance, substantive, Activities, estate, findings, result, results, trading, asset, cisco, wares, physical, Those, Them, foreign, people, The, science, They, Les, flora, /, proceeds, june, producto, producer. procedures, producers, factors, communications, techniques, precursors, projects, distributors, protocols, proceedings, circumstances, preservatives, competitors, providers, suppliers, customers, importations, supports, PROSPECTS, exports, consommateurs, contaminated, characteristics, promotion, preparations, consumables, contracts, provisions, contributes, ADDUCTS, receipts, accomplishments, profits, technologies, electronics, applications, counterparts, D, Proteins, P, processes, imports, sectors, parts, enterprises, Categories, matters, derivates, foodstuffs, sales, terms, purposes, operations, specifications, exporters, Packagings, Factories, combinations, aspects, feedingstuffs, profiles, labels, professionals, relationships, formulations, contributions, appropriations, structures, costs, Records, supporters, containers, ingredients, topics, methods, Instrumentalities, Programs, users, retailers, Prices, years, Pesticides, functions, consignments, innovation, indications, solutions, portugal, Premiums, customs, biocides, constituents, Plants, yes, report, reports, dissemination, purchasers, documents, alternatives, Operators, Artefacts, Accessories, biologics, effects, sources, inspections, can, clothes, creations, colours, relations, shipments, preliminary, Trademarks, Discoveries, Companies, additives, cigarettes, generators, Beverages, chapters, Specialities, residues, services, developments, vegetables, Cereals, cleaners, tourism, buyers, stocks, objectives, Consultations, assumptions, stores, subjects, medicaments, Cargoes, tolerances, tons, disinfectants, elements, Quantities, Herbicides, amplicons, perspectives, Standards, Toys, Measures, outlets, Undertakings, institutions, statistics, therapies, definitions, aircraft, Countries, appliances, clientele, Specialties, trans, inputs, quotas, points, coatings, programmes, exposures, belongings, certificates, circuits, dollars, purchases, Secretions, cars, niches, Capabilities, Warehouses, actions, Tomatoes, Plastics, improvements, Towards, crafts, Opportunities, impurities, Vaporizers, collections, Difficulties, versions, made-ups, apples, liabilities, technical, mobilization, Cultures, FORMATS, details, data, Securities, Groceries, possessions, options, Carriers, sites, others, Pastries, models, Children, Vehicles, yields, concerns, Newsletters, ORES, article, initiatives, Businesses, reserves, accidents, staples, types, retardants, questions, Varieties, stimulants, Meats, successes, growers, advancement, recall, packages, uses, stuffs, things, pieces, scientists, means, tenders, parliament, Guidelines, Clients, establishments, BIOTECH, Investments, earned, regions, norms, Vaccines, fuels, examples, wastes, offerings, Wines, segments, earnings, thanks, Animals, austria, GMPS, targets, feeds, NHPS, sections, tariffs, fabrics, Firms, Families, experiences, Patents, systems, trials, farmers, Strains, organisms, supplements, harvests, hazards, Remedies, -pipe-, weapons, Stories, papers, rates, Tablets, Tests, files, Gases, Coins, Facilities, obligations, arrangements, Fisheries, sprays, machines, channels, Fats, Births, times, Areas, meals, changes, media, awards, Entries, Canadians, Rights, DISCS, pills, ballots, -rsb-, Risks, accounts, Taxes, handbags, Forms, borders, Freedoms, stack, external, implants, lighters, titles, fibres, rule, rules, gifts, cases, plans, reagents, kinds, levels, Parties, Tissues, Tel, add, amendments, solvents, panels, benefits, images, TONNES, wagons, samples, Genders, gaps, railcars, enough, expenses, messages, Ligands, clauses, paints, officers, HDS, offers, Ones, special, releases, choices, woods, Goals, Necessities, skills, act, amounts, mills, welfare, exchanges, funds, -rrb-, regimes, agents, events, bands, months, shares, who, 1997, visits, G, bulletins, Grants, returns, drinks, MEDS, Films, licences, Legumes, aliments, Genes, Walkers, banks, Fees, minerals, ", payments, needs, grams, arrivals, 2004, Pulses, loans, 29, lamps, Seeds, annex, 230, sexes, days, avails, signs, exhibits, 27, paragraphs, 68, 45, 700, 49, 2000, sun, :, Properties, objects, 3.2, Publications, Resources, requirements, LINEs, Achievements, substitutes, instruments, Regulations, tools, assets, Activities, findings, results, wares, people, flora, proceeds. acceptance, mail, e-mail, postage, email, Deliverable, appliance. presented, Provided, used, Yielded, Descended, collected, Filed, made. processing, purchasing, Occurring, developing, being, increasing, resulting, Originating, following, coming, Arising, Emanating, emerging, happening, going, meeting. sourced, stocked, grouped, Tendered, Originated, carved, Yielded, embedded, Filed, effected, Arisen, Adduced, Emitted, filmed, earned, mined, brominated. 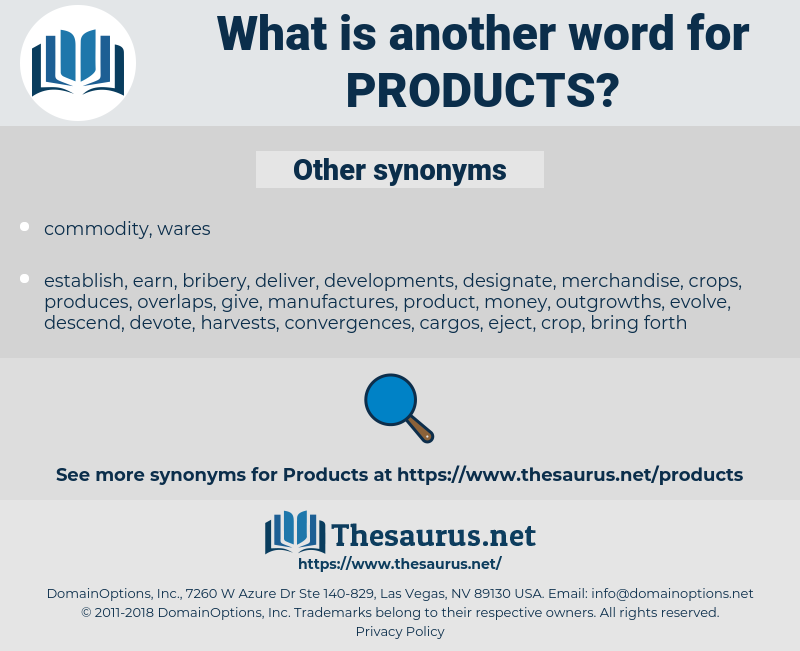 occurs, imports, Affects, proceeds, produces, productos. derivative, derivatives, hardware, requirements, compounds, substitutes, research, output, outputs, produces. manufacturers, consumers, contents, brands, stamps, derivatives, compounds, produces. The raw materials they required were landed from barges or ships at the piers and delivered to their doors at once, and their finished products were conveyed in the same way to all parts of the world. It was organized in March, 1901, under the laws of New Jersey, for the manufacture and sale of steel products.